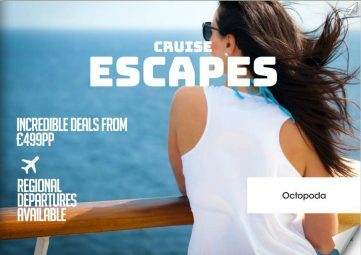 As your local independent travel agent, we bring you a selection of fantastic cruise offers from top suppliers. Just click here to view our exciting new magazine. We have many visits to a range of great destinations including the magnificent Mediterranean, breath-taking Norway and the majestic Fjords. With these great value deals there is something for everyone to enjoy.